Possessing extensive years of experience in the education sector with emphasis in the CBSE curriculum, our leadership team are well versed in fostering a learning environment that promotes leadership culture, mutual respect and advance learning techniques. At Amity School Dubai, we believe that the young minds of today have the potential to become leaders of tomorrow through guidance and a holistic learning experience. 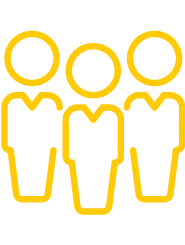 The Amity School Dubai leadership team comprises of the Principal, Vice Principal, Head of Kindergarten, Operations Manager, Head of Physical Education, SEND coordinator and Registrar. Teamwork is highly valued at Amity School Dubai and our leadership team sets a high benchmark, working closely and collaboratively to ensure that our students receive outstanding education in a happy and positive setting. Our Principal is a renowned educator, with over three decades of experience working within the CBSE curriculum at some of the largest and leading CBSE affiliated schools and institutions, and the recipient of Khaleej Times Emerging Leader’s Award in Education 2018, Dubai. 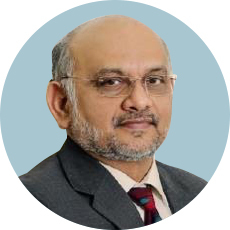 Mr. Srinivas Naidu is a resilient Administrator & Academician who has worked in a variety of reputed educational institutions in India & Oman. He is the Founding Principal and Director of a number of schools and consultancy firms within the region and abroad. During his twenty-year tenure in the Middle East, he has been actively involved in a range of projects including the Round Square International Service and Duke of Edinburgh Award Scheme. He has also participated in Teacher Training sessions, Leadership Workshops and Digital Teaching Initiatives. A pioneer in bringing ICT & NABET to schools in the Middle East, he has actively & successfully engaged in start ups, turnaround projects and aggressive development of a variety of educational institutions. His contributions to CBSE Gulf Council, Oman Chapter, Introduction of Quality Management Systems in Schools, ISO & QCI accreditation of schools and International Confederation of Principals are noteworthy. Awarded the “CBSE Best Mentor Principal Award” from Ministry of Human Resource Development, Government of India and an ardent promoter of Child Centric Education, Quality School Governance & Academic Excellence - Srinivas Naidu is passionate about education and believes learning is a continues journey that doesn’t falter with age. In October 2018, Ms. Mukta Bakshi joined the Amity School Dubai as Vice Principal - Primary. She was previously the Vice Principal of a Cambridge Curriculum School in Dubai. 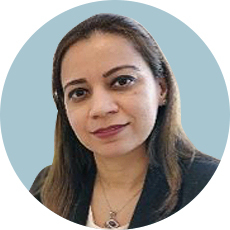 Prior to this she had been associated with the GEMS Education Group as a Senior Leader for over 8 years and has been a part of the successful leadership team that achieved 'Good' DSIB rating. She has also had the experience of working in Botswana and India before she moved to the U.A.E. She comes with a range of experience in effective pedagogical practices and successful learning outcomes. Her experience in school has provided her with the exposure of best practices in education which is seen translated in her commitment towards student growth and learning. She believes that every child needs their own pace and space to learn and grow and it is the job of educators to provide the correct environment and support to ensure this. At Amity School Dubai she aims to extend her expertise in providing the right environment to the students so that they may be encouraged to be curious, enthused and actively involved in their learning, both within and outside the classroom. In order to achieve this she encourages the teachers to not only to help students to be literate, numerate and articulate, but also be creative, adaptable, possessing of independent thought and self-governance. She holds a post graduate degree in English and Education and believes in developing effective student leaders. The recent success to her credit is the successful completion of the Action Research paper on "Use of effective marking techniques to inform good of better student learning and progress". She works passionately towards developing teachers through effective training programs as she believes that biggest assets of a society are effective teachers. Mrudula Asokan is the Kindergarten Supervisor at Amity School Dubai, who joined the founding team in setting up the system and cultural ethos of the School. Prior to this she had been associated with a school ranked 'Outstanding' by KHDA as a senior teacher. 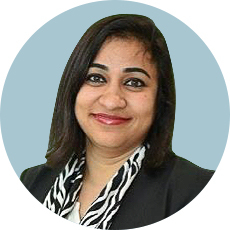 She has worked within a number of leading schools in Dubai and is a passionate Early Years Educator. An innovative and forward-thinking Kindergarten educator with over 18 years of experience in the field of teaching and school administration, she leads a team of teachers with a record of setting up new schools through strategic planning, curriculum and programme development. Experienced in creating a stimulating and challenging learning environment and training teachers on holistic pedagogy, approved by the Education Ministry, Mrudula is involved in setting up inclusive education, which includes children with special needs and designing a diverse enrichment programme for every child under her care. Mrudula believes that Early Years Education plays a unique and crucial role in a child’s education.